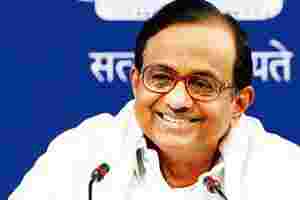 New Delhi: Faced with the global financial crisis and a slowing economy, India’s monetary policy is biased towards stimulating growth, and the Reserve Bank of India (RBI) is likely to lower rates as inflation cools, finance minister P. Chidambaram said. /Content/Videos/2008-11-25/Pg2/2411_Chidambaram_FRBM_MINT_TV.flva2c1d37a-ba36-11dd-9b8d-000b5dabf613.flv“Taking note of the downturn in the inflation rate, RBI has lowered the policy rate as well as the reserve requirements. RBI’s policy is now biased towards stimulating growth," Chidambaram said. “If the rate of inflation continues to decline, the policy rates may also moderate and the bias in favour of growth may deepen," he told a meeting with economic editors on Monday. But in a report prepared for the meeting, he said: “The circumstances continue to be largely favourable for sustained, rapid and more inclusive growth of the economy." Prime Minister Manmohan Singh said last week that despite an adverse international environment India could sustain growth of about 8% in the fiscal year to end-March. Private economists, however, predict growth of around 7%, lower than 9% in the last three years. Inflation eased for two successive weeks in early November helped by lower fuel prices and slowing demand and now stands below 9%, adding to expectations RBI would aggressively lower rates as growth falters. The finance ministry report prepared for Monday’s conference said the economy was likely to slow this fiscal year but growth of 7-8% would still be among the best given the financial crisis and a slowdown in major export markets. Chidambaram said the government may have to “revisit and revive" pending reforms and he hoped credit flows would improve by the end of November or December. He added the government may need one more year to meet its revenue deficit target but fiscal consolidation remains a priority for the government.